fresh is a multi-award winning, full-service creative events agency with an impressive portfolio of clients including Dixons Carphone, Radisson Blu, M&S and Santander. 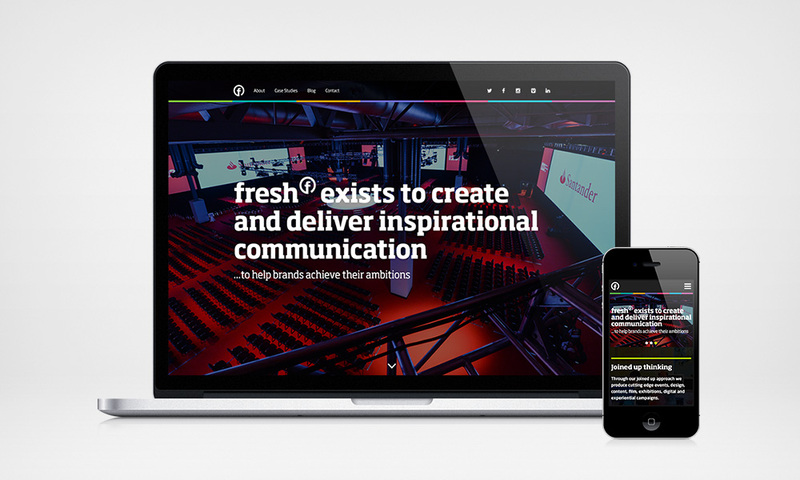 I originally designed fresh’s 2013 website, bringing the agency’s on-line presence to modern day by introducing a responsive layout as well as enhancing the case studies and blog section. The website redesign was my first challenge after taking on the role of Digital Designer, it was a success. However, after three years, seeing both fresh and myself grow, armed with a new rebrand, I was ready to take on the challenge once again. This time we were going much bigger and better, we wanted the website to make an impact and for fresh to stand out as ‘the go-to agency for global brands’. A considerable amount of time was spent designing the architecture and overall site UX to ensure that we offer the best user experience for visitors. 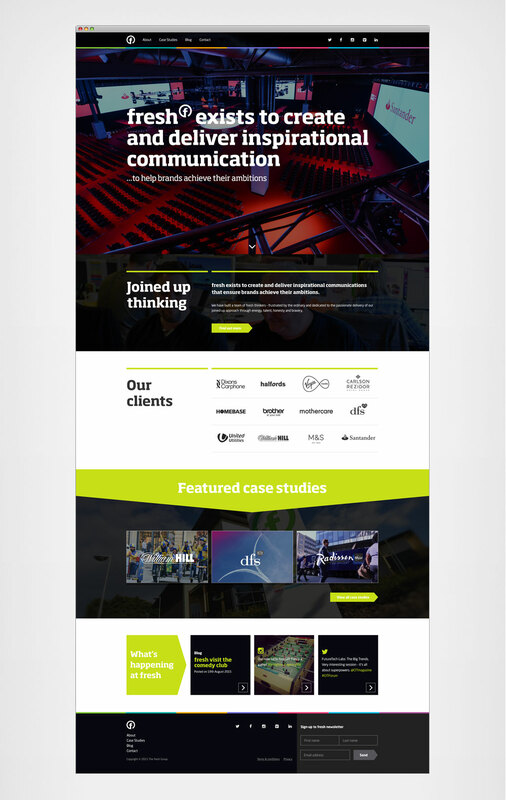 The new website tells the story of each case study in a visual, narrative and engaging way, boosting fresh’s impressive clients list and awards while showcasing the company’s vision and culture. A thoughtful content strategy coupled with a bespoke WordPress build was created to not only meet business goals, but also create something fresh could maintain and grow into the future. Almost one year on, I’m still very fond on this redesign.